The Women’s Empowerment Project (WEP), is an initiative created to women and girls overcome the barriers there are to receive an education.The WEP conducted an anonymous survey of young girls that were in school, where they had a chance to express how they felt about the availability of pads, and how it affected their education. These girls have hopes and dreams for their future, but their school attendance are sometimes hindered by not having adequate resources to feel comfortable in class, while they are on their menstrual cycle. 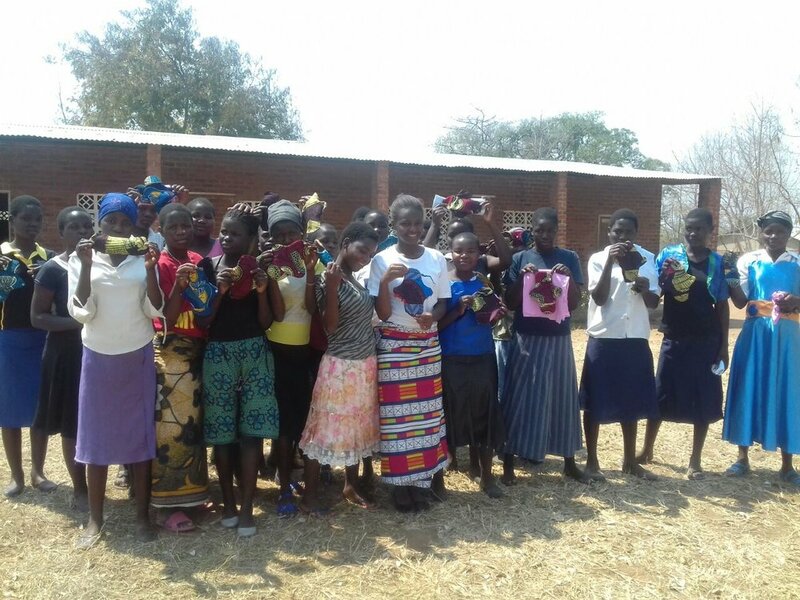 Before the WEP project, most of the girls used pieces of cloth because they couldn’t afford to buy pads all the time. This was ,mostly very uncomfortable for them. “Pieces of cloths is not a comfortable method because they easily leak and you can’t last long in school”, “They are unhygienic, and they don’t give comfort when walking”. “School is very important for me because it will help me become a good business woman and know which business to invest in. It is important for my family because I will able to help my parents and siblings. It is also important for my community because I want to see my community developed and if I am educated, I can be able to help. For Malawi, there will be one less educated person in the country. When I am not able to go to school (usually from sickness, or farming season), I feel disappointed because when I am in school, I am always encouraged. When I am home I usually do house chores, sleep, or read. "It is also important for my community because I want to see my community developed and if I am educated, I can be able to help." "Before WEP, I skipped class because of menstruation. I usually experience stomach pains, or I feel uncomfortable attending class to leakage. I usually used pieces of cloth and I was afraid of producing a foul smell. I would be happy to learn how to make my own pads, so that I can concentrate on school and my future." Participants with their finished pads! Two participants proudly show their reusable pads. Empower Women, Empower the Entire Community. 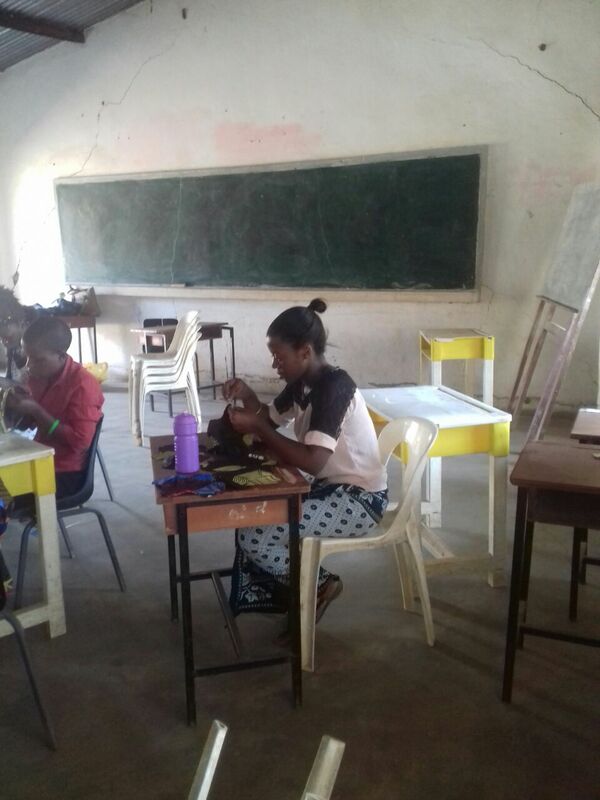 In 2016, WEP began facilitating Reusable Pads Workshops where the women go through which type of materials are used, learn how to sew the materials together, and are given instructions on how to care and clean them. The workshop was a total cost of $53, which were only for materials (thread, plastic lining and fabric). The workshop was a total of 3 days, and 45 women were directly reached. The local mother’s group was in attendance and they had a plan: those in attendance were learning it first, so they could teach the process to others. This is a system where multitudes of women can be taught how to sew and care for their own reusable pads, empowering their care. Most of the girls want to provide for their parents and be able to become doctors, nurses, journalists, and even business women. “It is important to go to school because it will help me know more things than other people and also help me be independent”. “When I don’t go to school, I don’t feel happy because I miss out on some lessons that even when my friends explain, it's not the same as learning from the teacher”. Being comfortable in class, and not worrying about a period, is very encouraging for the girls because it helps them work harder and stay focused in class, and also helps them keep their attendance to a daily schedule. Since the implementation of the WEP, we have seen girl’s attendance go from near 40% to near 100%, and girl’s enrollment in the first year of the project, doubled. If Harrietta’s story inspires you, please consider donating by clicking the button below.